Are looking for the best scan tool for mechanics? If so, then you are on the right page. These diagnostic tools are designed to support advanced functions such as ECU programming and ECU coding. Besides, these scan tools can perform all-system diagnosis and special functions. But with many scan tools for mechanics out there, choosing the right tool for your auto shop can be difficult. This is one of the Best Scan Tool for Mechanics that can dramatically change how you maintain and repair vehicles. 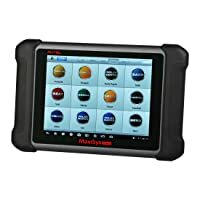 Autel Maxisys MS906BT is an upgraded version of Autel Maxisys MS906 diagnostic tool. Below are the outstanding features and functionalities of Autel Maxisys MS906BT. Autel Maxisys MS906BT supports ECU coding in BMW. You will be able to write new codes on components that have been repaired or replaced. This will ensure that the new components can be read and controlled effectively by the ECU. For instance, if you have cleaned or replaced the throttle then you need to do throttle matching. Luckily, Autel Maxisys MS906BT has a feature that can effectively help you do perform throttle matching. Besides, you will be able to retrieve diagnostic codes that can accurately tell you of the underlying issues in your car. Other than performing ECU coding, Autel Maxisys MS906BT supports extensive OE-level functionalities. You will notice that it supports advanced diagnostic functions such as ABS, SRS, and oil reset functions. Better still, Autel Maxisys MS906BT has the oscilloscope and digital camera that helps you to perform repairs in constricted spaces. Autel Maxisys MS906BT has a cloud-based support that allows you to access thousands of repair procedures suggested by other technicians. 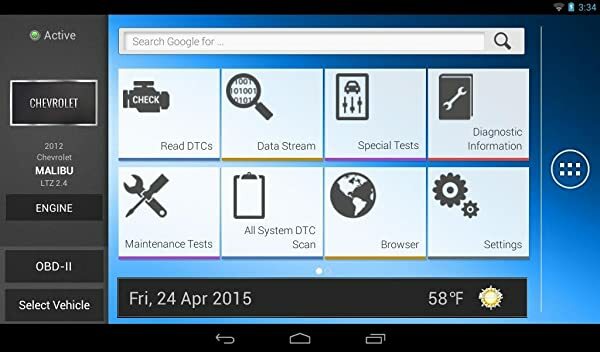 This diagnostic tool has repair and maintenance videos. The videos are designed to guide you in a step-wise manner on how to maintain and repair vehicles. Autel Maxisys MS906BT has admirable compatibility. It can more than 80 US, EU, and Asian models. It has a large screen that enhances code readability. It is really difficult to reach customer care for this product. Does not support tire pressure sensor diagnosis in Porsche, Infiniti, and Lancia. This scan tool is built for professional techs and mechanics who own auto shops and perform repairs on regular basis. This code reader is one of the best scan tools for mechanics that supports ECU coding in Volkswagen and Ford. Launch X431 V+ gives you total wireless freedom with its reliable Bluetooth connectivity. You will be able to scan your vehicle without using a connecting code. Here are the top features and functionalities of Launch X431 V+. Launch X431 V+ is one of the best scan tools for mechanics that supports ECU coding in Volkswagen and Ford. You can use this scan tool to deactivate a lost key or program a new key. Equally, you will be able to perform TPMS relearn using this scan tool. This will ensure that new or replaced components are recognized by the electronic control unit of your car. You will be able to perform SAS calibration, oil reset functions, EPB reset, and battery maintenance. Launch X431 V+ can perform special functions on most makes and models. Also, it allows you to perform ABS bleeding, reset electronic throttle position, Anti-theft matching, and DPF regeneration. Other than supporting special functions Launch X431 V+ can read data streams in all the systems for all compatible vehicles. You will be able to diagnose the emission system, fuel system, engine, transmission, and the powertrain. Simply put, Launch X431 V+ is an all-in-one solution for all your auto shop diagnostic needs. Launch X431 V+ is compatible with over 68 car brands, as well as 220 makes and models from Europe, US, and Asia. Has a 10.1-inch screen allowing you to easily read codes. It can support live data, waveform graphing, and read Datastream. You have to email the IP to the manufacturer so the tool can start to function. Pairing the device with an OBD2 connector is a hassle. You will not be able to update the scanner after two years. The customer care for this unit takes a long time to address your issues. It fails to establish a connection with Toyota SAI and 2003 Chevy Suburban. This scan tool is built for mechanics and professional tech involved in scanning various vehicles on a day to day basis. This scanner allows you to perform relearn on TPMS after servicing the TPMS system. If you are looking for a comparatively cheap scanner that can perform advanced functions then check on Autel MaxiCOM MK808. It is one of the Best Scan Tool for Mechanics. 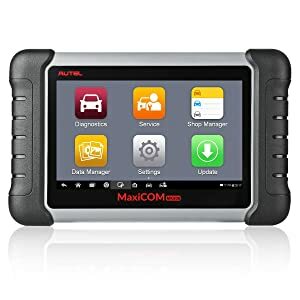 If you are involved in upgrading or fixing the security systems of various cars on regular basis then you need Autel MaxiCOM MK808. The scanner has the IMMO feature that helps to reset the anti-theft unit. A faulty IMMO may prevent a car from starting or even worse fail to stop a person from getting unauthorized access to your car. Better still, Autel MaxiCOM MK808 can program a new key and disable a lost key. This will ensure that you are the only person with authorized access to your vehicle. Autel MaxiCOM MK808 supports relearn on a number of vehicles. 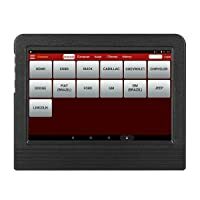 For instance, if you have replaced sensors, perform tire rotation, or even adjusted the air pressure then you can use this scanner to perform TPMS relearn. You can also use this scanner to perform relearn on the electronic parking brake system of your car. If you notice a drift or a rocking side to side of the steering wheel then you need to perform SAS reset on your vehicle. Autel MaxiCOM MK808 can help you to calibrate the steering geometry to match the onboard system sensors. This is usually done after performing wheel alignment so as to prevent the steering wheel from rocking from side to side when driving. Autel MaxiCOM MK808 is compatible with more than 80 US, EU, and Asian models. It is difficult to updates this unit. This is scanner is not plug and play. It is difficult to get to the customer care for this scan tool. Do not support most of the special functions on BMS, Subaru, Lexus, Acura, and KIA. This is primarily designed for mechanics and professional techs who deal with maintenance and repair of vehicles on a daily basis. ECU programming helps to match the electronic control unit with new components after you have repaired or have replaced some major parts. 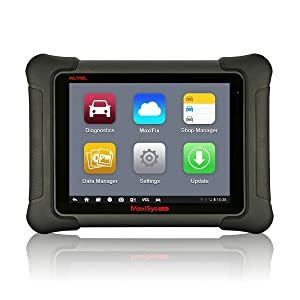 If you are a mechanic and looking for a scan tool with multitasking, speed, and simplicity, then check out Autel Maxisys Elite. It is no doubt that this is one of the Best Scan Tool for Mechanics with OE-level functionality. 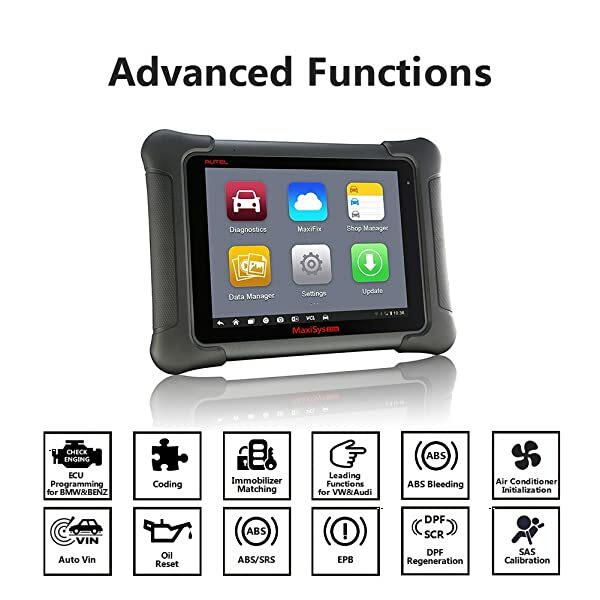 You will notice that it can handle most advanced OBD2 diagnostics, ECU coding, and ECU programming. Here are the top key features and functionalities of Autel Maxisys Elite. The good news is that Autel Maxisys Elite can perform ECU programming on SAE J2534-1 and 2 compliant models. It means that if you have changed or added intercooler, turbocharger, or the exhaust system on Ford or Volkswagen then this scan tool can help you to perform ECU programming. As a result, your vehicle will run more efficiently. you can use the Autel Maxisys Elite to write codes and program SAS system after replacing SAS sensors. Autel Maxisys Elite is uniquely designed to write new codes on new components after old ones have been replaced. For instance, if you have replaced the injector fuel on Volkswagen, Ford, or Audi then you can use the Autel Maxisys Elite to write new codes. It will ensure that the new fuel injector can be read by the ECU so as to properly function. Equally, you can use the Autel Maxisys Elite to write codes and program SAS system after replacing SAS sensors. Not all mechanic scan tools can code new car keys. However, Autel Maxisys Elite can help you replace a lost or broken key. It can do this by deactivate the lost key and write new codes for the new key. The scanner will also match the key with the ECU. Besides, if you are experiencing lock problems or you are stranded with your key, Autel Maxisys Elite can diagnose the underlying problem. Autel Maxisys Elite is compatible with over 80 US, Asian, or European models. It can also perform programming and coding on SAE J2534-1 and 2 compliant makes and models. Really fast as the scanner uses NVIDIA Tegra 4-Quad-Core Processor. It is fitted with wireless connectivity for enhanced mobility. 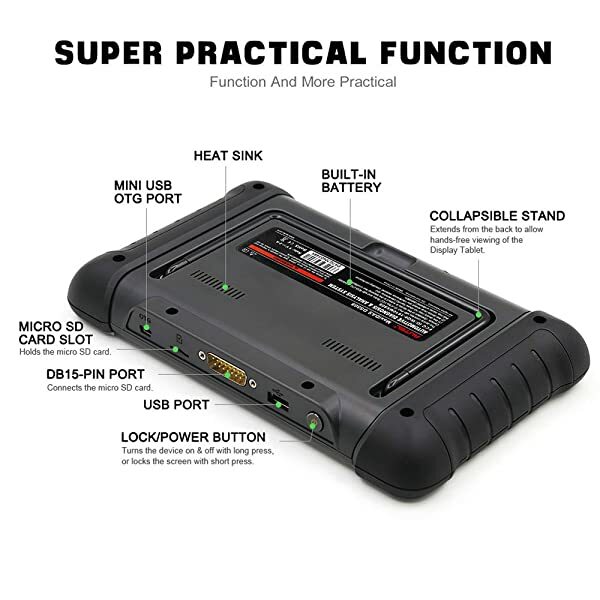 Perform special advanced functions such as ECU programming and ECU coding. Offers step by step procedure on how to make an accurate diagnosis. Excellently supports bi-directional functionality even on the honk and wipers. Uses a forum instead of a real troubleshooter to offer repair solutions. It is really hard to get in touch with the customer care for this unit. Takes time to load controls and parameters as it has to prepare them for command state. It fails to make a connection on Chevrolet, Ravon, and Cadillac models. Autel Maxisys Elite is built for mechanics and professional techs who own auto shops. This is because it can perform advanced functions such as ECU programming and coding. 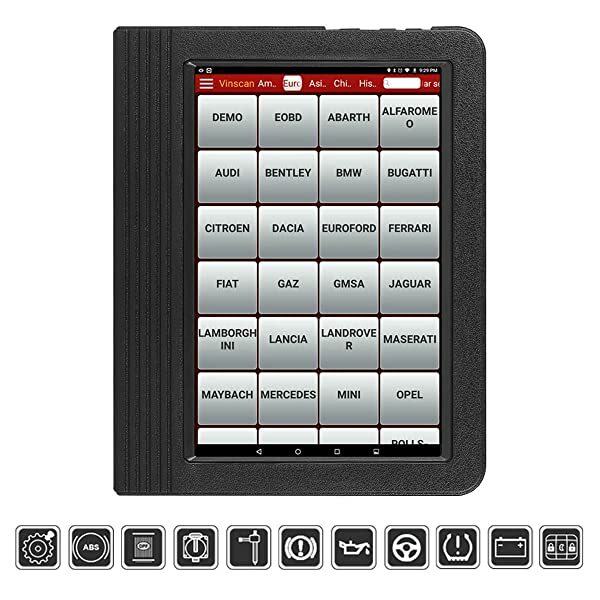 Autel Maxidas DS808 can retrieve the diagnostic trouble code from the EPB system. 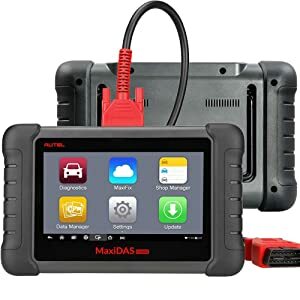 If you own a mechanic shop and perform advanced diagnostic functions on a daily basis then Autel Maxidas DS808 is a must-have scanner. The scanner uses NVIDIA Tegra 4-Quad-Core Processor that is fast in processing data. As a result, you will be able to diagnose the entire car in a matter of minutes. Here are three outstanding features of Autel Maxidas DS808. Autel Maxidas DS808 can handle advanced diagnostic functions. It can accurately perform oil reset functions. You will be able to read and clear all the DTCs affecting the cooling system in all compatible models. The scanner can also retrieve codes that can tell you if the level of oil is low or if the oil needs to be changed. Once the underlying issue has been fixed then you can use the scanner to reset the oil lamp. Performing a relearn of the TPMS after servicing is a must. However, this procedure is not easy and requires a scan tool that can cope with this process. The good news is that Autel Maxidas DS808 has a processor that is capable of handling TPMS relearn procedure. When your electronic parking brake system does not disengage it can compromise the entire brake system. Worse still, EPB has many components that can cause the system to malfunction. The good news is that Autel Maxidas DS808 can retrieve the diagnostic trouble code from the EPB system. Once you have rectified the faults you can use Autel Maxidas DS808 to reset EPB warning light. Autel Maxidas DS808 is compatible with more than 80 US, EU, and Asian models. It is difficult to update this unit. The internet connection is really a hassle and takes time to find anything online. It does not support Fords, Lincolns and Cadis models. Autel Maxidas DS808 is a professional scan tool for mechanics and professional techs. This scanner can effectively retrieve SRS diagnostic trouble codes. FOXWELL GT80 MINI has a unique design that makes it waterproof, shockproof, and dirt-proof. It is also built to effectively resist damage and impact making it suitable for the road test and the toughest workshop environment. Here are the top features and functions of FOXWELL GT80 MINI. DPF is an important part of your diesel vehicle. It is designed to collect particulate matter that is usually produced after combustion of fuel. You will notice that after some time you need to regenerate DPF by removing soot that accumulates in the DPF filters. A DPF light will pop up when the DPF needs to be regenerated. However, you will not be able to perform DPF regeneration when DPF light is on. This is because it engages the limb mode’ that only allows 3000 rpm. You need to use FOXWELL GT80 MINI to clear DPF light before performing DPF regeneration. 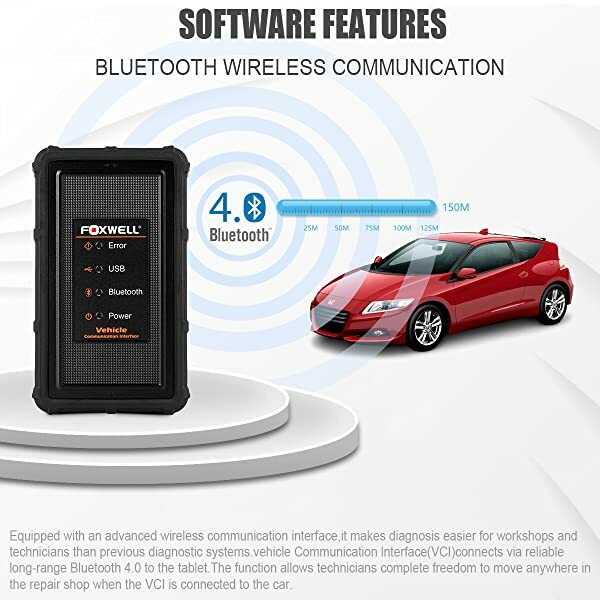 FOXWELL GT80 has a stable Bluetooth connectivity. After replacing an injector you need to code it so as to match it with the ECU. Fortunately, FOXWELL GT80 MINI can accurately code a new injector and match it with the ECU. Coding of the injector will ensure that the engine is running efficiently with peak performance. FOXWELL GT80 MINI can effectively retrieve SRS diagnostic trouble codes. It can accurately pinpoint if the airbag is damaged and need to be replaced. Also, it can point out if there are blown up fuses or defective airbag sensors. As a result, you will be able to make informed decisions based on retrieved DTCs. FOXWELL GT80 MINI is compatible with 67 US, European, and Asian vehicles. It is water, dirt, and shockproof. Well built to enhance durability. The scanner cannot work effectively when the temperature falls under 30F. It can be hard to troubleshoot language as it seems to use Spanish as a default language. It fails to perform an accurate battery test on 2003 Avancier and Ballade 2015. 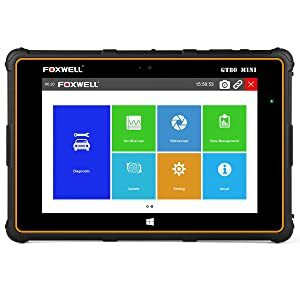 FOXWELL GT80 MINI is built for mechanics and professional tech involved in car diagnosis on regular basis. OTC 3893 Encore Professional has a deep link indexical direct hit that allows you to access repair information quickly. This is a powerful diagnostic tool that can help you to fix most of the advanced diagnostic functions. It has WI-FI connectivity and is linked to google search allowing you to verify retrieved DTCs. Here are the features and functionalities of OTC 3893 Encore Professional. Also, it has code-assist, embedded videos, and repair-track meant to help you perform accurate repair procedures. A proper functioning ABS system will ensure that the wheels do not lock when braking. OTC 3893 Encore Professional scanner is for handling most of the advanced functions. On the other hand, the airbag system ensures that you are cushioned in an event of a crash. This scan tool is equipped with auto-detect technology. It will automatically identify a vehicle and quickly read and clear codes. As a result, you will be able to perform more repairs within the shortest time possible. It can diagnose most of the OBDII US, Asian, and European vehicles. It has a large colored screen for enhanced readability. It is comparatively slow when it comes to retrieving DTCs. No documentation on updates and subscription fee. It displays a link error while scanning 2012 Land Rover 5.0 and 2007 Jaguar XK 4.2. OTC 3893 Encore Professional is built for mechanics and professional tech who own small auto shops. From the scan tool reviews, what is the best scan tool to buy? Now, have a look at the comparison chart below for the top 3 picks of Best Scan Tool for Mechanics recommended in 2019. Possible issues with registration. Possible vehicles Communication issue. (For Specific Vehicle models, visit Autel official website) Possible Compatibility Issues. Bottom Line Autel MK808 is a great pick for mechanics who don't need Coding or Programming functions. 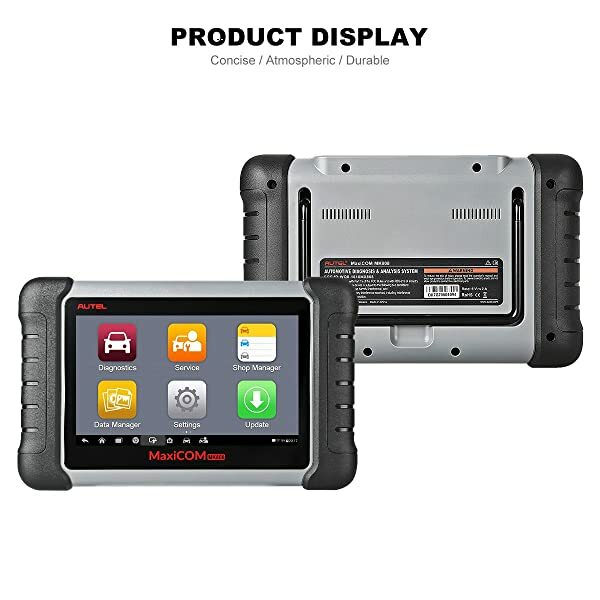 Autel MS906BT is the perfect diagnostic tool for technicians and mechanics who want to do advanced ECU Coding. Launch X431 V+ is an affordable option for mechanics who usually need ECU Coding. When choosing the Best Scan Tool for Mechanics there are a number of factors that you should consider. 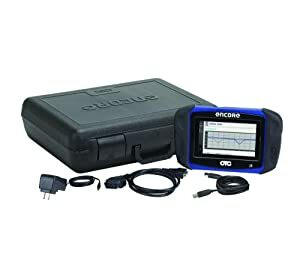 Look out for a diagnostic tool that supports high speed, stable wireless connectivity, support many advanced functions, and is cost-effective. GS911 is a code reader that could support USB and Wi-Fi and perform a number of functions and reset codes incredibly fast. Read the detailed review NOW!